WASHINGTON, the U.S. (BulgarianMilitary.com) – One day after the United States decided to stop the deliveries of equipment for the Turkish F-35, the U.S. Secretary of Defense Patrick Shanahan believes that Turkey will make a “right decision” and will give up on the Russian S-400 missile defense system, focusing its attention on the US Patriot, learned BulgarianMilitary.com. “I’ve had a lot of conversations with the Minister of Defense Hulusi Akar and I really think that we will resolve this situation with our strategic partners”, he said. According to Patrick Shanahan, if Ankara gives up to purchase the Russian S-400, this will help the F-35 program for Turkey to continue from where it was stopped. Shanahan expects an unambiguous response from the Turkish side on this issue and believes that it will be positive, which will allow the program to continue. The “F-35” trump card that the Pentagon holds opens a negotiating door for a possible sale of the similar American Patriot system, whose offer has already been sent. According to the U.S. Secretary of Defense, the offer for Patriot is competitive and can bring in significant industrial cooperation between Turkey and the United States. 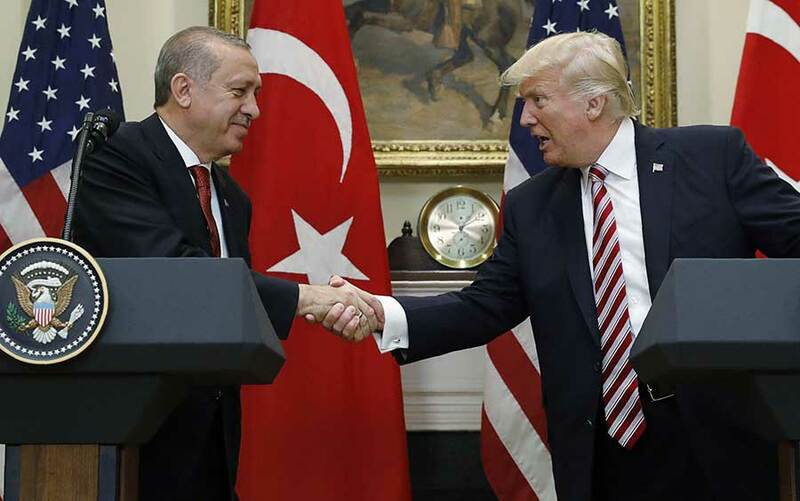 In recent months, the Pentagon has repeatedly warned Ankara that if Turkey buys the Russian systems, it is a real threat to the F-35 technology as well as to the overall technology the Western defense is based on. At a meeting with Russian Foreign Minister Sergey Lavrov held in Ankara last week, the Turkish Foreign Minister Mevlut Cavusoglu, however, confirmed that the purchase of the S-400 systems would be carried out and was going according to plan. At the meeting celebrating the 70th anniversary of the creation of NATO, Mevlut Cavusoglu said he understood the fears of the U.S. and the West, but Turkey also proposed a working group to solve the S-400 and F-35 incompatibility problem and he added that it was not required and “the S-400 must not be integrated with the NATO systems, because that is not our aim”. Foreign minister of Turkey @MevlutCavusoglu says; S-400 deal done, and Turkey will never dissuade from its. — Sebghatullah Sadid (@SS_Sadid) 4 април 2019 г. According to the Turkey’s Foreign Minister, the country urgently needs a missile defense system. The Turkish Minister made a logical statement on the U.S. filed offer to buy the Patriot systems, asking how the United States would guarantee that they could sell to them the systems concerned when there was a danger of future blocking this deal by the Congress.